Seattle Pregnancy Massage specializes in massage and reflexology for pregnancy and the postpartum period and infant craniosacral therapy. Gift certificates are available and can be delivered instantly by email or through the mail. Seattle Pregnancy Massage offers individualized 60 and 90 minute massages specifically targeted to the changes your body experiences during pregnancy and the postpartum period. Seattle Pregnancy Massage offers 60 and 90 minute postpartum massages in our office in Ballard. Let's face it having a massage can seem like a luxury. How rejuvinating does it sound to spend an hour on a massage table having those aching muscles massaged? Can you feel the knots leaving and the relaxation taking over your being? You walk away feeling ready to take on the rest of your day. While massage in your day to day life can feel like a wonderfully luxurious extra, while you are pregnant it should be seen as a part of your regular health care plan. You're not the only one who receives all the benefits of a great prenatal massage. Your baby receives them too. Prenatal massage boosts your circulation, sending increased blood flow and nutrients through the placenta to your baby. The stress hormones in your body which transfer to the baby through the placenta, are lowered and replaced with endorphins generated from that relaxation that you feel. Having the muscles and ligaments of your pelvis and lower back massaged, helps to lengthen and balance them, and create space for your baby to move around and find the ideal position for labor and birth. 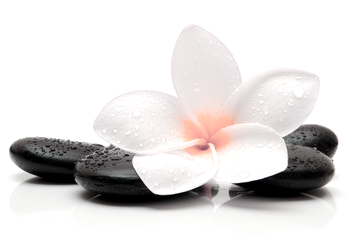 Seattle Pregnancy Massage offers gift certificates for prenatal massage, postpartum massage and reflexology. Prenatal and postpartum massage gift certificates are ideal for baby shower gifts, new baby gifts as well as birthdays and holidays or just because.